Dr. V.K. Viswanathan, or VKV as he is popularly known, has lived in two countries, India and the USA. The first twenty five years of his life were in Chennai, where he knew & listened to all of the golden age greats of Carnatic music as well as Hindustani music. During that time he also learnt Carnatic music (vocal, flute and mridangam) for over ten years and started his research on music theory, primarily with the purpose to delve into the specialties of those musicians revered for their greatness. He first met M. S. Shubhalakshmi at the age of five and attended some of her most important and memorable concerts. He was also lucky to discuss several aspects of music with her. After relocating to the United States of America in 1959 he continued his active involvement in musical activities and worked with various organizations in North America, which he still continues. By profession he has been a scientist; He has worked with and has been in close proximity with many innovators and Nobel laureates, such as Armstrong and Aldrin. Presently he is writing a book, based on his observations and explanations from the point of view of physics and meta-physics, on the contemporaneity of the voice of M. S. Subbulakshmi to all generations. Ms. Selvi Viswanathan is an authority on the Telugu language and literature. She also has an expertise in Carnatic violin. She spent the earlier part of her life in India and came to New York City after her marriage to Dr. V. K. Viswanathan..
Selvi is known for her immense contributions in Carnatic music by working with and taking care of many musicians. Ravi Shankar used to talk about her specialtyas “MOR KOZHAMBU” every time they met. She has won many awards as a photographer and has been involved in several projects on nature and environment. The highlight of their life was her first meal after their marriage in 1967. It was at the residence of M.S. Shubhalakshmi in Kalki Gardens in Chennai on her insistence. On their arrival M.S. Subbulakshmi herself performed the welcome “Arathi” and sang! By age two, Kiranavali was hailed as a child prodigy, being able to identify over 200 ragas (melodic scales), demonstrate the 175 talas (rhythmic cycles) and answer numerous other technical questions pertaining to Carnatic music. The Indian Express (June 14, 1975) declared her to be "astounding in her precocity", while The Hindu (June 1976) wrote, “More fantastic is the manner in which 3-year old Kiranavali is able to tell the raga even at the commencement of its outline." Kiranavali's father, Narasimhan, an outstanding musician and teacher, and son of the renowned Gotuvadyam Narayana Iyengar, saw Kiranavali's potential even as a toddler and started training her in the intricacies of music. Under his watchful guidance, she grew from prodigy to musician with sure-footedness. Her early performances were in tandem with her older brother, K N Shashikiran. As a pair of bright young children, this unique brother-sister duo won much appreciation from connoisseurs, critics and the music-loving public. Both of them branched out as soloists during their teens. Kiranavali's childhood and youth were replete with fun-filled music sessions and intensity of learning with her older brother, Chitravina Ravikiran. His positive approach towards learning and practise music and life have deeply influenced her. In her early teens, Kiranavali had the opportunity of closely following and learning from T Brinda, a great repository of some of the best Carnatic treasures. For nearly a decade, Kiranavali assimilated a sizeable number of compositions of unparalleled quality in Brindamma's repertoire. She immensely values the extraordinary privilege she had in accompanying her guru in several public and private performances as well as radio and television recordings. After Brindamma's demise in 1996, Kiranavali learnt a few pieces from her equally renowned sister, T Mukta, and accompanied her in a hugely successful performance at the Cleveland Tyagaraja Aradhana (Mar 2002). Around the age of seventeen, Kiranavali discovered her talent for Chitravina, an ancient South Indian slide instrument her family is famed for, and started pursuing it with great passion. Within a span of two years, she made rapid strides on the instrument that not only allowed her to team up with Ravikiran but also perform solo at many prestigious venues in India such as The Music Academy (Chennai), Krishna Gana Sabha (Chennai) and Sri Shanmukhananda Fine Arts (Mumbai). The rich musical environment in which she grew up, the thorough training from her illustrious gurus, the many years of hard work and good work ethics, have sharpened Kiranavali's innate talent and keen musical acumen. She is recognized and regarded as a musician with sound scholarship and a distinct voice. Some of her notable works include Lakshmi Prabhavam, a special dance production in which she was a lead singer, and her much acclaimed concert featuring a single piece in 101 and 108 ragas respectively. These performances not only received rave reviews and special mention at sell-out shows, but also established her credentials as a worthy torchbearer of her illustrious music lineage. Kiranavali's vocal career has taken her to many renowned centers across India, USA, Canada and Europe. They include the National Center for Performing Arts (Mumbai), India International Center (New Delhi), India Habitat Center (New Delhi), Narada Gana Sabha (Chennai), Sri Parthasarathy Swami Sabha (Chennai), Brahma Gana Sabha (Chennai), Karthik Fine Arts (Chennai), The Music Academy (Chennai), Jaya TV's Margazhi Mahotsav, Shanmukhananda Fine Arts (Mumbai), South Indian Cultural Association (Hyderabad), Cleveland Tyagaraja Festival (Ohio), Bharati Kala Manram (Toronto), Ethnological Museum (Hamburg) and Reitberg Museum (Zurich). She has also been featured in prominent television networks, besides recording for various radio networks in India and the United States. Kiranavali has lent her voice for documentaries on various great masters including her guru, T Brinda and her legendary grandmother, Vina Dhanammal, and has cut her own CD albums as well. Kiranavali's rich experience, deep understanding and excellent articulation have made her a highly sought-after speaker and moderator at many forums, panel discussions and special events. She has presented talks on diverse Carnatic themes to a variety of audiences at prestigious events and organizations. She is also a very gifted teacher, with nearly three decades of teaching experience. She was recently invited by the University of Pennsylvania to start a Carnatic performance course and currently teaches there as a Professional Associate. Apart from this, she has trained numerous students at the institutional and private levels. As a resident of the United States since 2002, she has made a significant difference to the music and cultural scene across various cities such as Philadelphia, Buffalo, San Diego and Sacramento. Her depth and width of knowledge and open-minded approach, combined with the intensity, rigor and professionalism she brings to teaching, have enabled several of her students to show remarkable progress within very short periods of time. Many of them have attained professional concert standards and are regularly invited to perform at reputed venues in North America and India. Several of them have also garnered top prizes at prestigious national-level competitions. Kiranavali has distinguished herself as an eminent writer and editor as well. 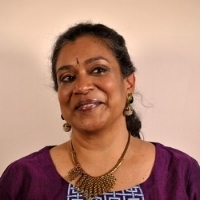 She has been regularly contributing to and editing articles pertaining to Carnatic music for well-known newspapers, journals, websites and magazines since the late 1980s. As an artist with a comprehensive understanding of her art form and the vision to bring it to a global platform, Kiranavali has constantly engaged herself in reaching out to newer audiences through her performances and talks. In February 2013, she started the Lofty Heights Series which has now seen over 20 events featuring accomplished professionals and students from India and the United States in performances, talks and panel discussions. Several awards and distinctions have been bestowed on Kiranavali over the last few decades. She is the first Carnatic musician to win a prestigious performance grant from The Pew Center for Arts & Heritage (2014) and three teaching grants from the Pennsylvania Council on the Arts (2016 & 2014). Kamini Dandapani has had extensive training in Carnatic vocal music, Western Classical music (piano) and Bharata Natyam. She studied Carnatic music for over 20 years with some of the leading teachers and performers in the field, including Vidwan Madurai N. Krishnan (who was a discipline of Ariyakudi Ramanuja Iyengar), Dr. M. Balamurali Krishna, Smt. T. Muktha, Smt. Lalitha Sivakumar and Smt. Vedanayaki. At the same time, she studied classical piano, and holds a Licentiate from Trinity College of Music, London. Simultaneously learning and being immersed in these two different classical traditions has given her a not-often-encountered perspective on the similarities and differences between them across many dimensions including the theory, history, performance, performers and trends. Kamini has been a guest faculty member at Barnard College of Columbia University in New York. She is also a faculty member at the International Vocal Arts Workshop held every summer in Croatia. She teaches Carnatic music privately as well as at Navatman and is a member of the New York City-based Carnatic music ensemble, Navatman Music Collective. She writes extensively on South India – history, travel, music, dance, short stories, science and anything else that catches her fancy – on her blog, Tales of South India and is currently working on a book on the Cholas of South India. M. K. Ramasubramanian has an Engineering degree with Honors from India and later earned an MBA degree from Columbia University, NY. He worked as a business manager for a Media company and is currently retired. He is passionate about Carnatic music, and belongs to a family of music lovers, Carnatic music patrons and nurturers. His father Sr. K.S. Mahadevan was one of the founding members of the famous Shanmukhananda Sabha of Mumbai. He was also a well-known Carnatic music and dance critic. He regularly contributed to music columns in Indian Express and other journals, and was also the Editor of the Magazine Shanmukha. M. K. Ramasubramanian learned music for a short while, but most of his knowledge came from listening to the music stalwarts since childhood and through close associations with them which allowed several knowledgeable discussions. He shared the passion for music with his father and assisted him in bringing out a big book called "Musings on Music". M. K. Ramasubramanian is also one of the Founding Members of the Organization called Carnatic Music Association of North America, which is currently doing great service to Carnatic music in New York-New Jersey areas. Now, during his retirement M. K. Ramasubramanian is an avid listener and regularly writes on "Rasikas.org", which is a forum for Carnatic music lovers. Nirmala Ramasubramanian has a Master's degree in Nutrition and Dietetics, directed the Clinical Nutrition Programs in major Hospitals in NY. She is currently retired from her job and is actively involved in the Community Outreach and Cultural Committee programs of the Hindu Temple Society of North America, NY. She had served as an Executive Committee Member of the Bharatiya Vidya Bhavan, NY in the Nineties. She has had formal training in Carnatic music for a number of years and has given mini concerts while growing up in India. She had given vocal music support to some noteworthy dancers in NY, including Smt. Maya Kulkarni, the Cine fame Smt. Padmini Ramachandran and many others. She has been part of a music group called Gitanjali of Long Island and believes in continuous learning. Both Nirmala and MKR have helped various organizations including The Hindu Temple of North America in organizing cultural events including Carnatic music concerts and have also hosted several musicians in their home. Music is so much part of their life and during their retirement they are enjoying listening to music and writing about it as well as encouraging young musicians and students to learn the divine art form. M. K. Ramasubramanian and Nirmala had the unique opportunity of hosting Sri T. Sadasivam, Smt. M.S. Shubhalakshmi, Smt. Radha Viswanathan and their accompanying artists in their house in Queens, NY in 1977 when M.S. Shubhalakshmi was invited to perform in concerts to raise funds for the Hindu Temples of North America. Please come and listen to the couple (MKR and Nirmala) reminisce their experiences with the Nightingale of Music, the great national and International Icon of Carnatic Music, the greatest philanthropist and quintessentially the greatest human being of our times!